A new build house on a prominent site in the heart of a town centre conservation area, one of London’s best known historic centres. 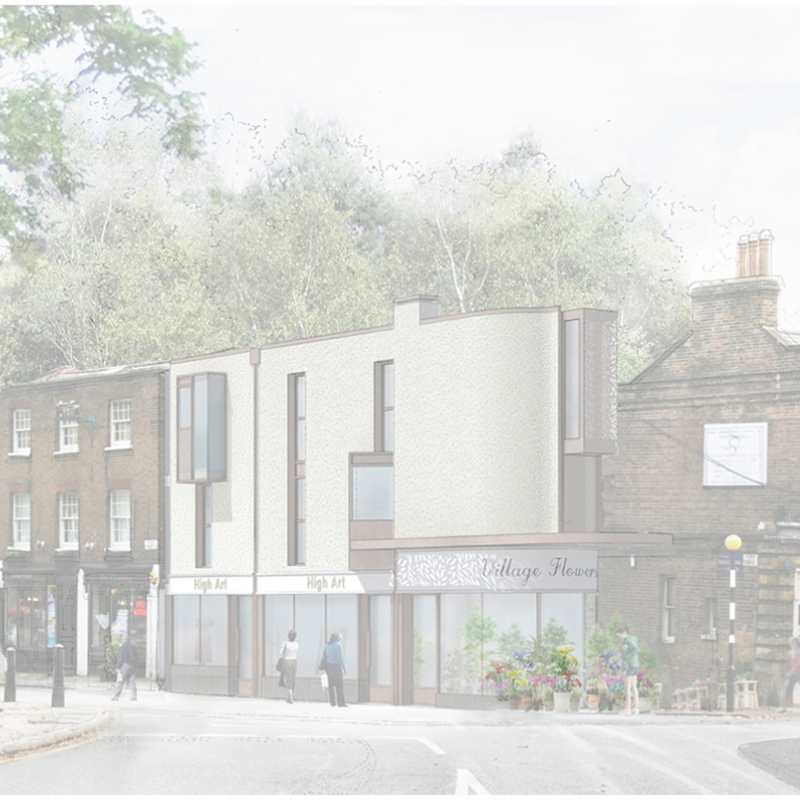 There are few recent buildings in the centre of Highgate and modern architecture in a historic setting often generates objections. It did in this case; planning permission was refused, and the client appealed. We provided evidence for the planning hearing, setting out the case that this was a design of high quality that far from harming its historic setting, would enhance it. The government’s Planning Inspector agreed with our case and planning permission was granted. In 2014 the project won a Royal Academy 2014 AJ Commendation. The house is under construction.